There’s been a…misunderstanding. | Oh, Rachael. “Wesley.” It’s not really a common name, right? You don’t expect to hear it attached to more than one person or character in your lifetime. Okay, maybe some of you do, but I didn’t. Wesley Crusher fulfilled my Wesley quota without my ever having watched Star Trek (except for that one time in high school when we did in class, and it did not feature Wil Wheaton at all). So this is what happened when I heard of Wesley Snipes, and Mike told me that he “played the guy in Blade” (whose name, I later found out, is Blade). I think it’s better this way, no? Posted in Uncategorized and tagged humor, misunderstanding, photoshop, why we can't have nice things, wil wheaton. Bookmark the permalink. I agree. Much better. 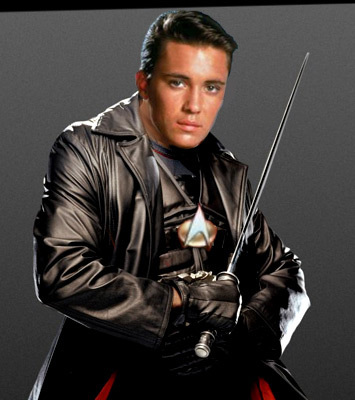 You do know that Blade was a vampire, right? Vampire Wesley? That’s kind of hot. Huh. Wait. Is THIS why teenage girls want vampire boyfriends now? Wesley Crusher? That would make so much more sense. LMFAO………. I’m not sure whether I should be disturbed or turned on. I’m sure the entire 2% of the world’s population that gets this in the first place feels the exact same way. I can assure you, we do. Oh god, I am SO glad you don’t have a pic to upload, or I fear we would see Will Wheaton’s head on your hampster. And I seriously don’t think I’m prepared to see that abomination…..
BAHAHA. Actually, I was just thinking of adding furry little ears to the picture up there…no? Really? Okay, I won’t. Much better. Now if only you could photoshop vampire fangs on Wil’s mug…. Except…his mouth’s closed. Where would I put them? Oh, no–I couldn’t forget about WESTLEY. But there’s that T there, so it’s completely different. “Norman” sounds very boring. You know, normal. “Wesley” leaves more of an impression…which led to this. Rachael, I grew up with a boy names Wesley! Since Wesley Crusher is a fictional character (and I think 10 years your junior), I’m going to have to assume that you grew up with Wesley Snipes and never told me. If you had, it probably would have been his face on Wil Wheaton’s teenage body, which would have been even more hilarious. You have robbed the world of hilarity by withholding information.